Is an acute infection typically with a skin rash, usually on any of the legs and toes, face, arms, and fingers. 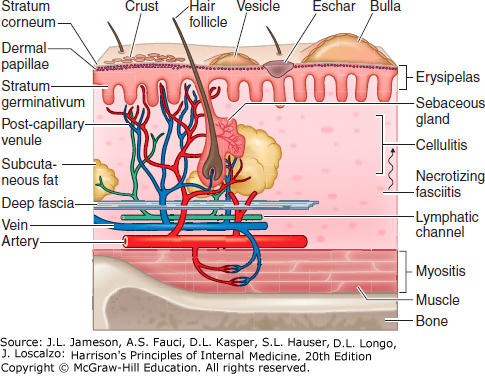 It is an infection of the upper dermis and superficial lymphatics, usually caused by beta-hemolytic group A Streptococcus bacteria on scratches or otherwise infected areas. 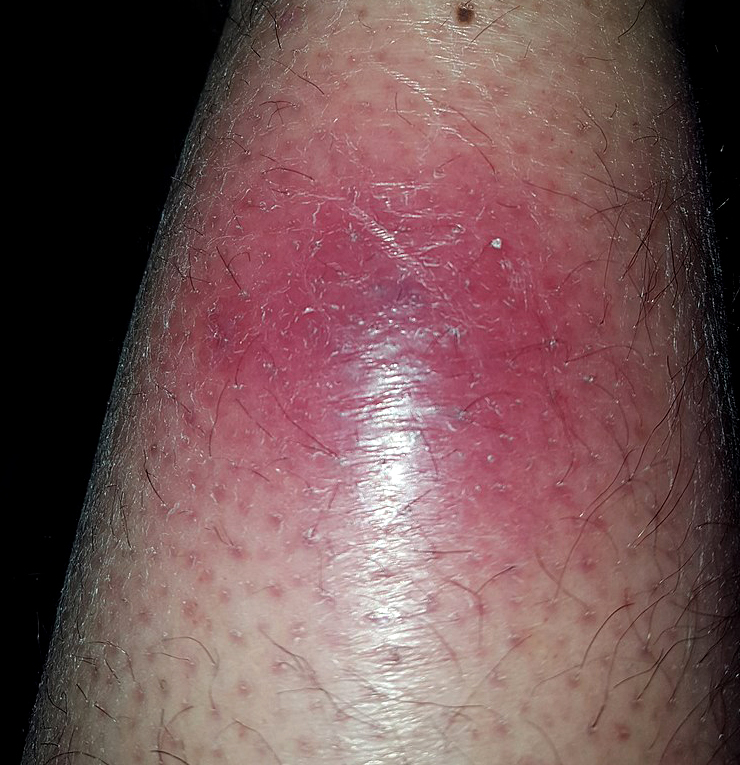 Erysipelas is more superficial than cellulitis, and is typically more raised and demarcated. 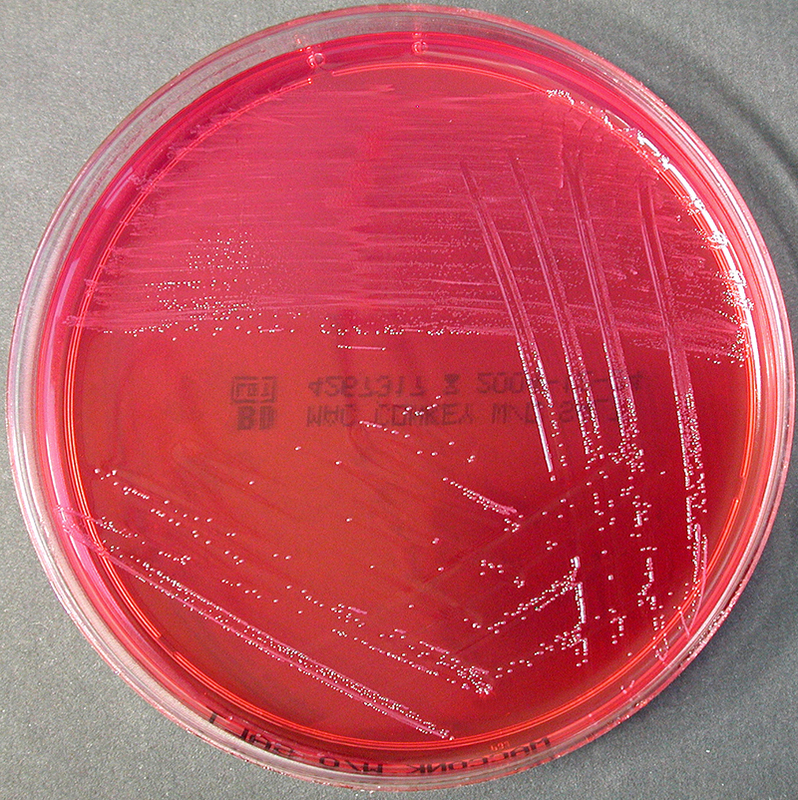 In animals, erysipelas is a disease caused by infection with the bacterium Erysipelothrix rhusiopathiae. 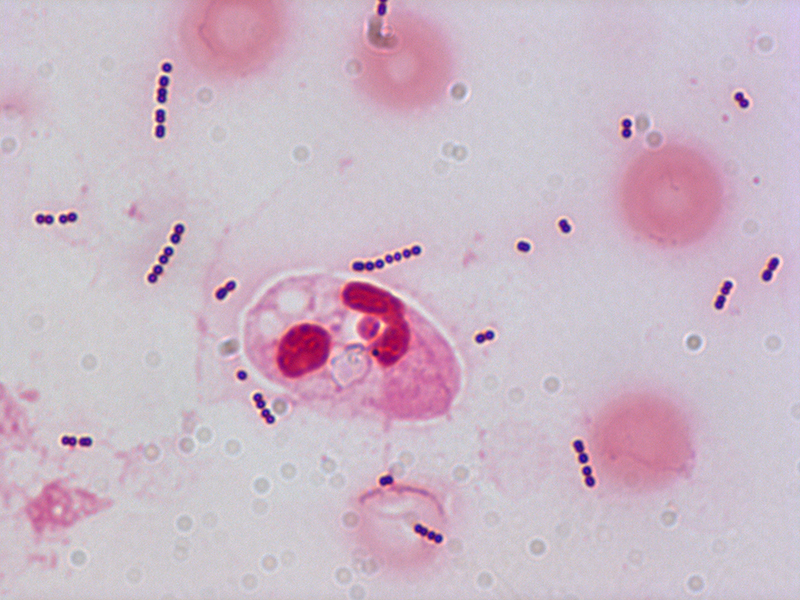 Erysipelothrix rhusiopathiae can also infect humans, but in that case the infection is known as erysipeloid. Affected individuals typically develop symptoms including high fevers, shaking, chills, fatigue, headaches, vomiting, and general illness within 48 hours of the initial infection. 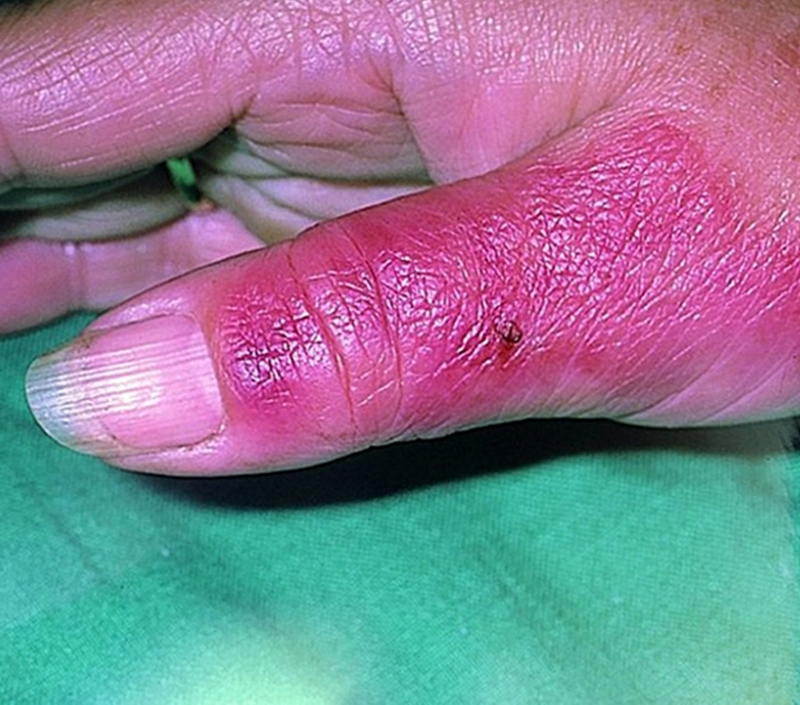 The erythematous skin lesion enlarges rapidly and has a sharply demarcated, raised edge. It appears as a red, swollen, warm, and painful rash, similar in consistency to an orange peel. • with possible skin necrosis (death). The infection may occur on any part of the skin, including the face, arms, fingers, legs and toes; it tends to favour the extremities. Fat tissue and facial areas, typically around the eyes, ears, and cheeks, are most susceptible to infection. 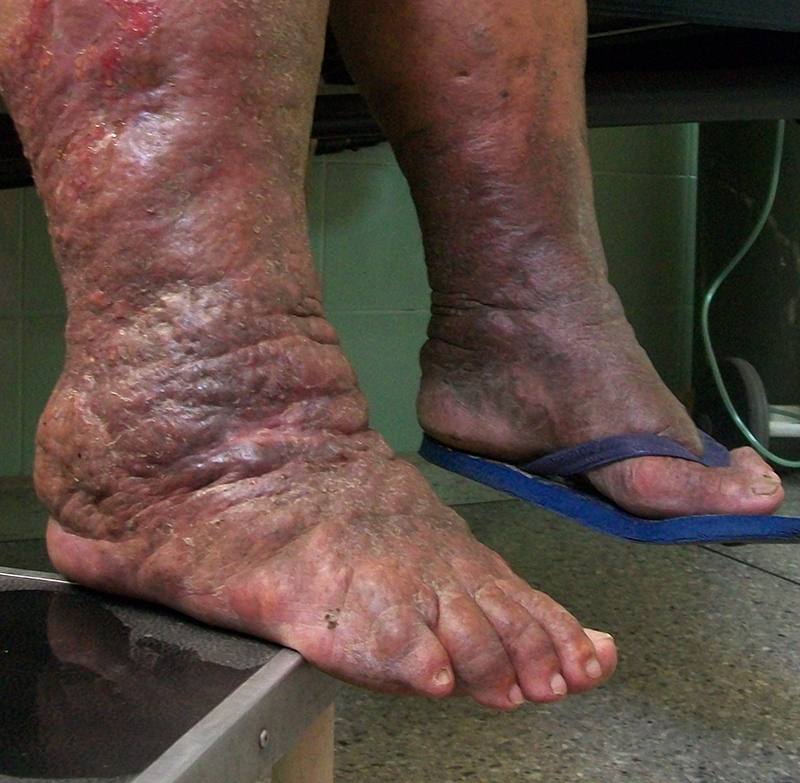 Repeated infection of the extremities can lead to chronic swelling (lymphangitis). 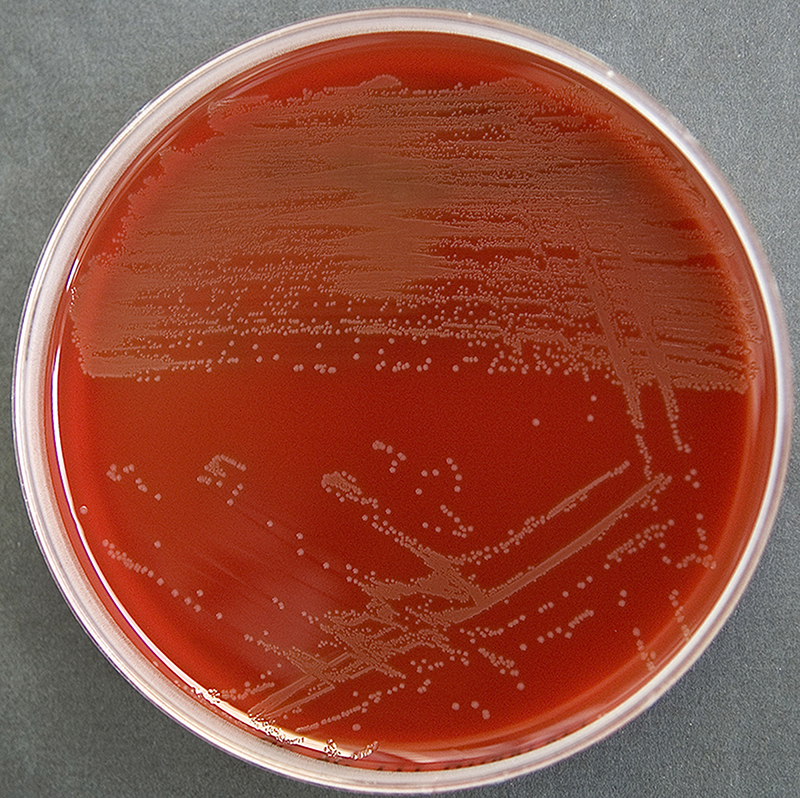 Most cases of erysipelas are due to Streptococcus pyogenes (also known as beta-hemolytic group A streptococci), although non-group A streptococci can also be the causative agent. 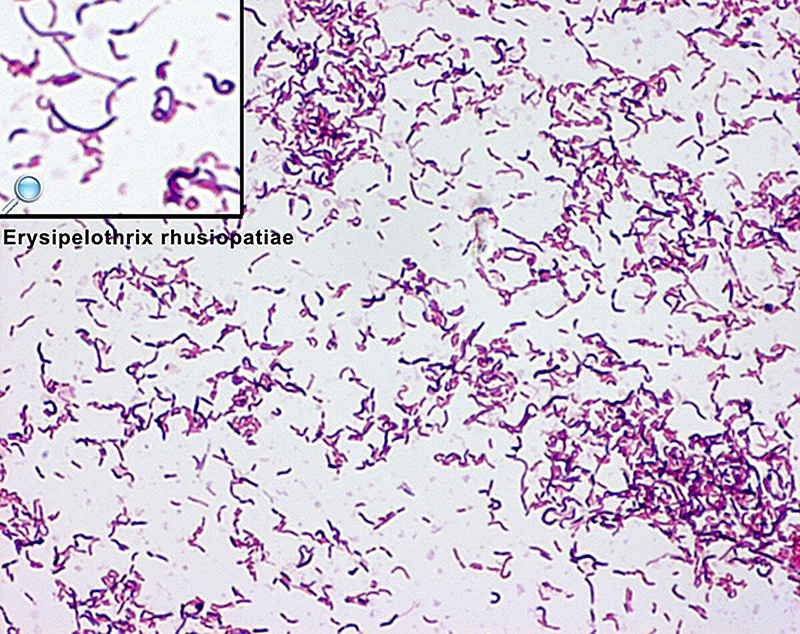 Beta-hemolytic, non-group A streptococci include Streptococcus agalactiae, also known as group B strep or GBS. Historically, the face was most affected; today, the legs are affected most often. The rash is due to an exotoxin, not the Streptococcus bacteria, and is found in areas where no symptoms are present; e.g., the infection may be in the nasopharynx, but the rash is found usually on the upper dermis and superficial lymphatics. 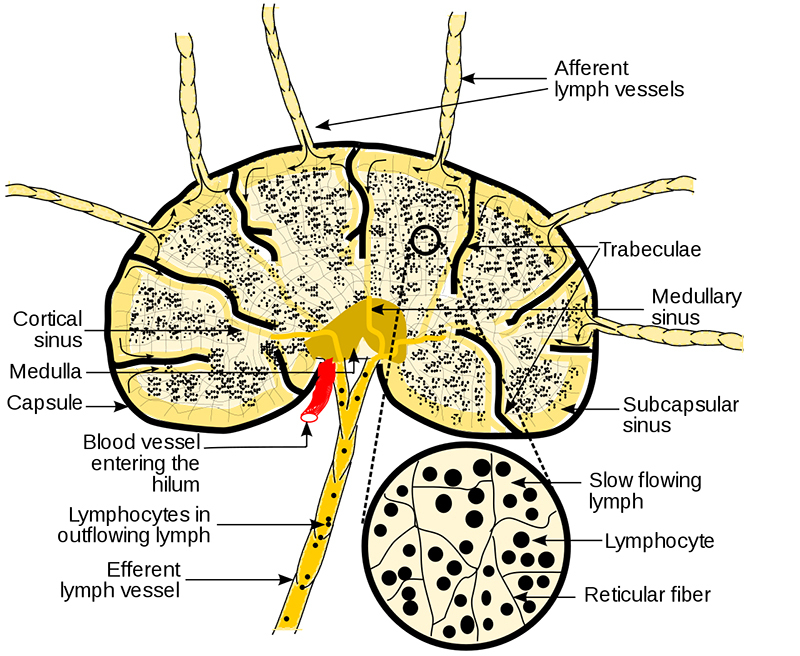 Erysipelas does not affect subcutaneous tissue. 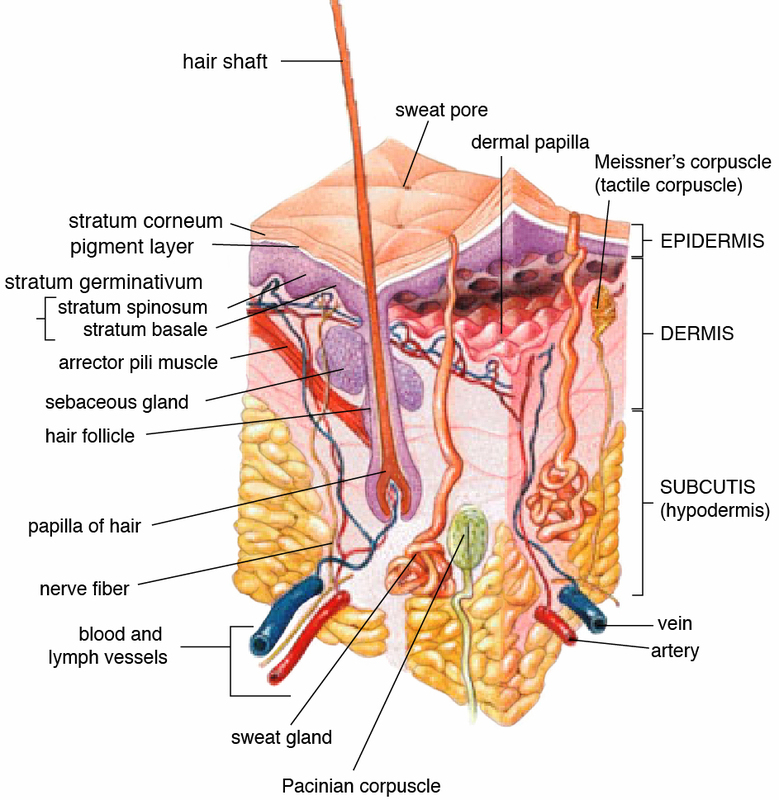 It does not release pus, only serum or serous fluid. 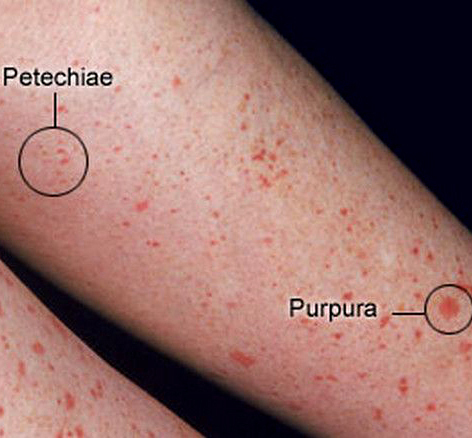 This disease is diagnosed mainly by the appearance of well-demarcated rash and inflammation. 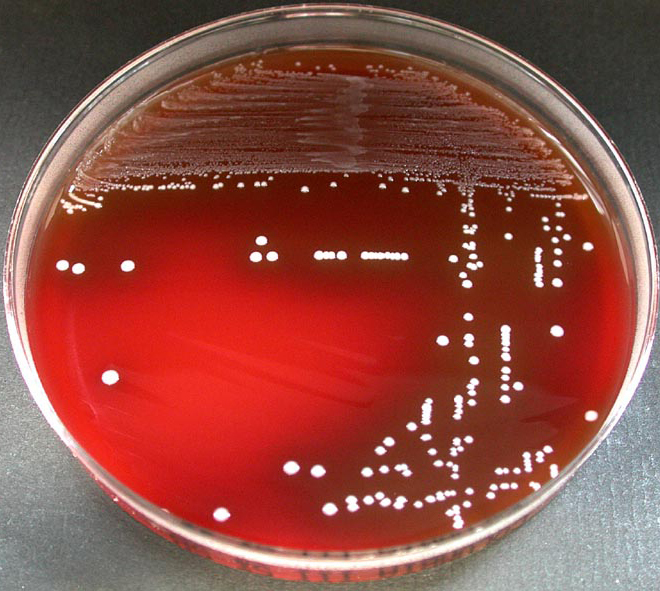 Blood cultures are unreliable for diagnosis of the disease, but may be used to test for sepsis. 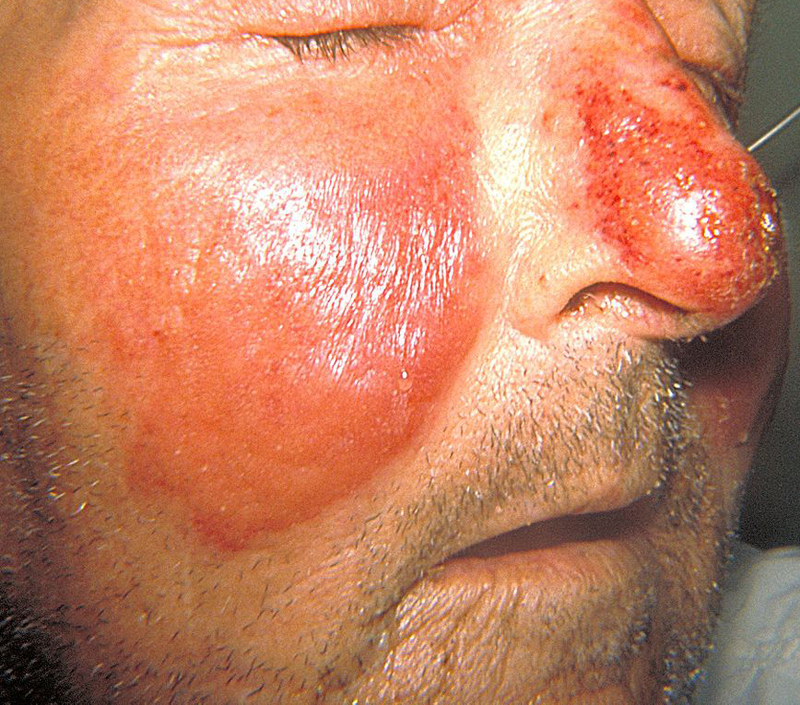 Erysipelas must be differentiated from herpes zoster, angioedema, contact dermatitis, and diffuse inflammatory carcinoma of the breast. 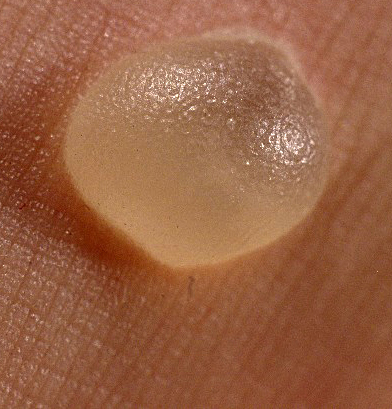 Erysipelas can be distinguished from cellulitis by its raised advancing edges and sharp borders. Depending on the severity, treatment involves either oral or intravenous antibiotics, using penicillins, clindamycin, or erythromycin. While illness symptoms resolve in a day or two, the skin may take weeks to return to normal. Because of the risk of reinfection, prophylactic antibiotics are sometimes used after resolution of the initial condition. However, this approach does not always stop reinfection. Tincture of iodine can be used for treating idiopathic erysipelas which occur on the head.